Time to take a quick look at the scorecard. I am now a little over 1 year down of my Early Retirement Plan so it is a good time to take stock and see how I am progressing. Spoiler alert - I am a little behind where I should be. I had previously laid out a very detailed Early Retirement Plan - but a plan is only a plan, and the real proof is in the pudding. The original plan said I needed my investments to be worth R991 431.54 at the end of 2016 (don't forget the 54c!). So roughly a million. I did a quick check on 1 January 2017, and tallied up my investments - R897 479. I am around 100k short. First up - this chart shows my investment plan in grey, and then my actual investments on a monthly basis in blue. You can see the little blue worm (only 1 years old, his name is Timmy) is trying its best to keep up with the big grey worm. Unfortunately Timmy has hit a bit of a flat line of late. 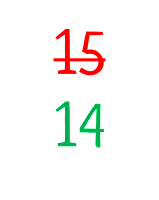 Or put another way - this next chart shows how far I am below or above my target on a monthly basis. As you can see I am currently around 10% below where I should be. 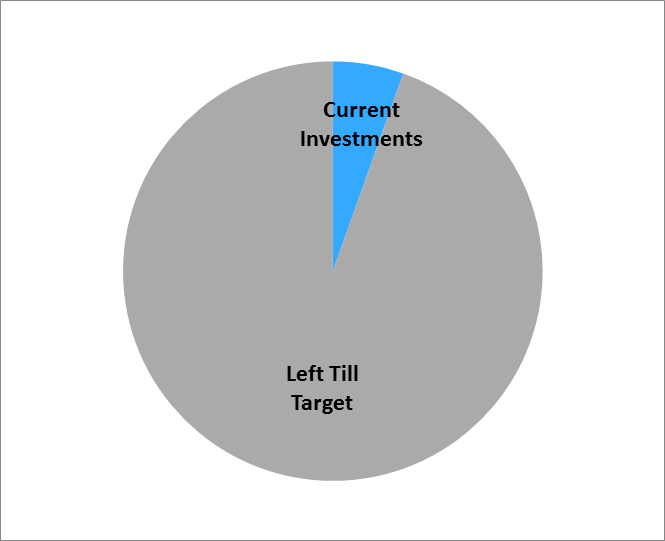 Looking at the bigger picture - this next pie chart shows my progress towards the magic retirement number - still a long way to go. And finally, this chart shows the value of my investments as a percentage of the amount I would need if I were to retire in that year. The idea is that this should grow with each passing year and hit 100% at the end of 2030 (or in a perfect world even sooner!). I just need to keep chipping away with each passing year. In the Adjust and Adapt section of this post I mentioned I was planning on adding a page to the website which would keep a tab on my progress towards my goal. I like to think that I am a man of my word, so I present to you the Cool and Awesome and Awesomely Cool Stealthy Wealth Page of Early Retirement Tracking. You can call it that, but the long name is actually the FIRE Tracker (Financial Independence/Retiring Early Tracker). I have added a button for this page to the menu of the website. The page will be updated monthly, around the first day of the month. All of the charts from above will be shown so you can keep track of how my little worm is growing (no not that worm!! Focus people, head out the gutter! :)) as I tick off each month towards my goal. As you can see I am behind my target. So what went wrong? Well in short, the market returns were very skimpy in 2016. 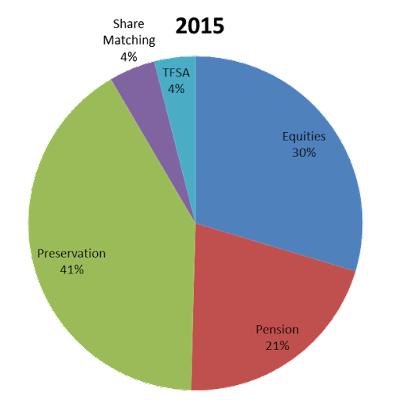 The JSE gave a total return of 2.63% (read about the TRI here) for the year. This is far short of the long term average return (and the estimated return I used when drawing up my plan) of 15.28%. Our decision to Buy our place instead of continuing to Rent which meant there were some upfront costs (+1 to the Renters) - however I hope to make that up soon soon, and in the long run I believe the decision to buy was the correct one. My wife and I decided she should extend her 4 months paid maternity leave with two extra unpaid months (+1 to her company for giving employees this option) to give her a full half year taster of what Early Retirement could be like :) We knew this was coming and so we needed to put some savings away to ensure Stealthville could remain at full operating speed during the unpaid months. 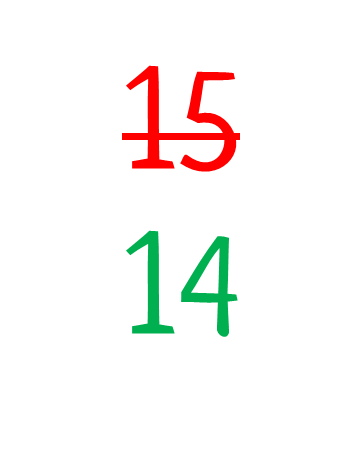 So that set us back a little, but these are two one off's, and we hope to make up the lost ground as soon as possible. Just thought I should present two more Pie charts here. 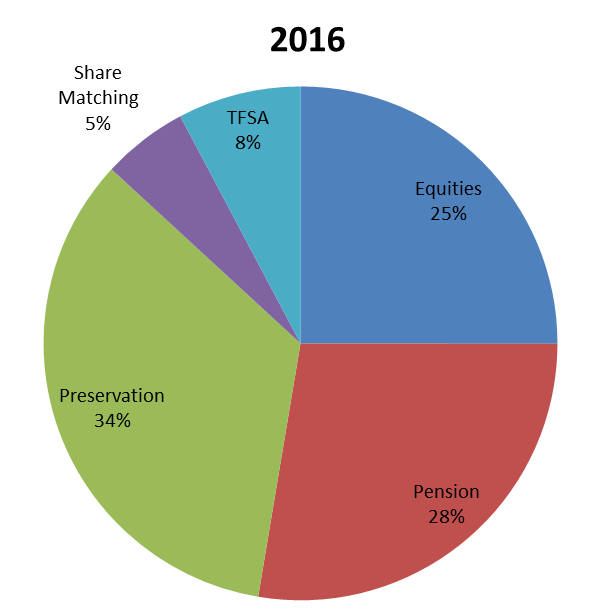 Below are charts showing what percentage of my investments are in the various investment vehicles. The first chart is from the end of 2015, and the second is from the end of 2016. I am happy that the TFSA portion is now double the weighting that it was in 2015. I want the TFSA percentage to be as high as possible by the time I retire - so that my Tax burden can reduce. On the flip side I want to reduce the weighting of my Government controlled investments (Pension and Preservation funds - the total weighting of these remained unchanged in 2016 compared to 2015). These will take a tax hit if they are cashed out before 55, and if I keep them till 55 I will be forced to convert them into that horrible A word.... (annuities). So while these have tax benefits now, there will be tax implications later. So that's it for the first year of my Early Retirement Plan. Only 14 to go, and the finish line of my Investment Marathon is that little bit closer. Slow and steady wins the race - while I am behind where I hoped I would be, I will be working hard to get back on track! How did everyone else do in 2016?